THIS PRODUCT HAS BEEN DISCONTINUED. 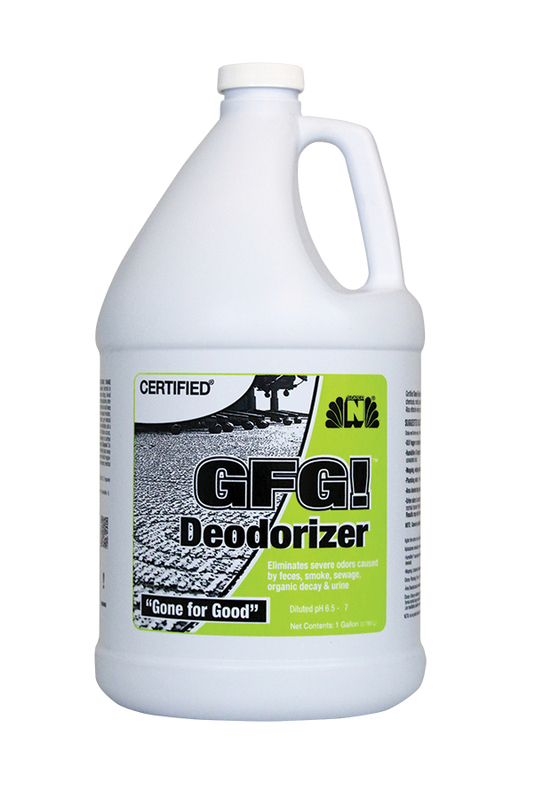 Certified GFG is a scientifically formulated deodorizer that will destroy odors caused by smoke, sewage, organic decay, spoilage, sulfide malodors, plumbing odors and is especially effective on urine odor in carpet. Applications: Great for smoke odors, plumbing odors, urine in carpet, musty odors in basements, etc.